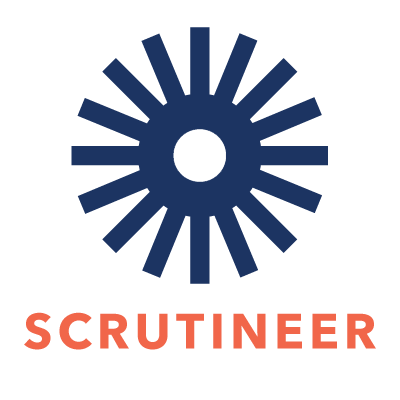 Scrutineer is a service offered to companies who place online advertising to help them determine how effective their ads are. Certain companies may place cookies or other tracking mechanisms on a user’s device to help them track the advertisements a user has been exposed to or clicked on. Scrutineer accesses these cookies, Apple IDFAs, Google Ad IDs, or other tracking mechanisms on a user’s device and the information collected by the companies who have placed them in order to determine which ads that user has seen or clicked on. Based on that information, Scrutineer then provides surveys about the ads to certain users. Scrutineer does not collect any personally identifiable information about these users. Scrutineer does share the survey results with its clients so that they can determine and improve the effectiveness of their ads. Scrutineer may also use aggregated data (i.e., the data of a number of users combined together so that no one user can be identified) in reports it publishes about online and mobile advertising.